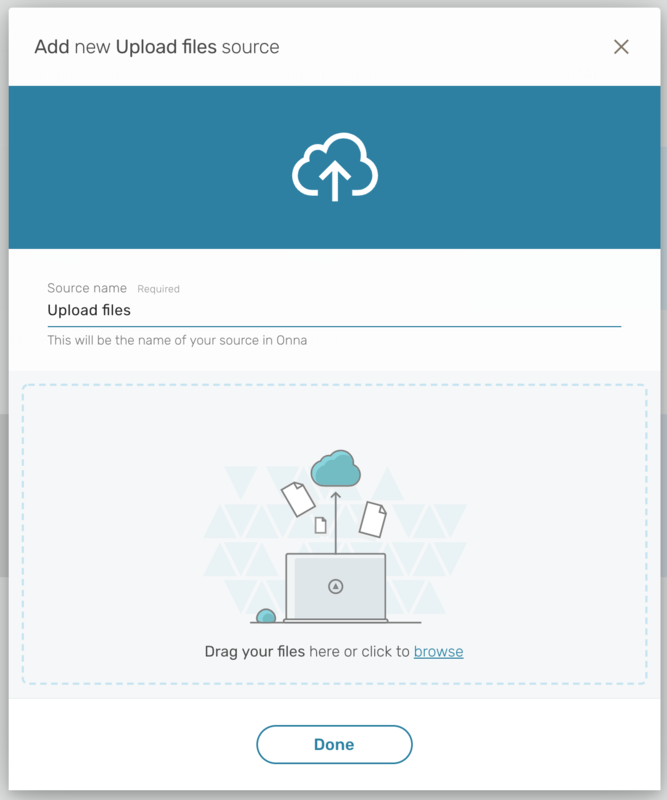 Onna lets you upload any type of files, like PSTs, or documents directly from your computer with the "Upload" data source. Onna currently supports over 600 file type formats. Files in over 600 file formats, including word, excel, or powerpoint. Click on "Add a Data Source" and select Upload. The first section covers the Source name. This is the name of your source in Onna. We've pre-filled it with 'Upload files' however this is entirely customizable. 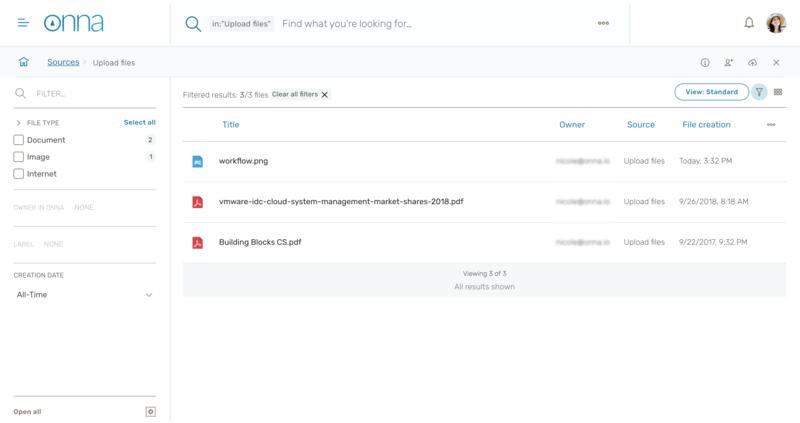 You can drag and drop the files that you're looking to upload within the area. Once you drag your first couple of files, the area to upload a file will move to the bottom of the screen. At this stage, you can still remove files from your upload list by clicking 'Cancel all' or by eliminating single files. To eliminate a single file, hover over the check mark to reveal the delete option. 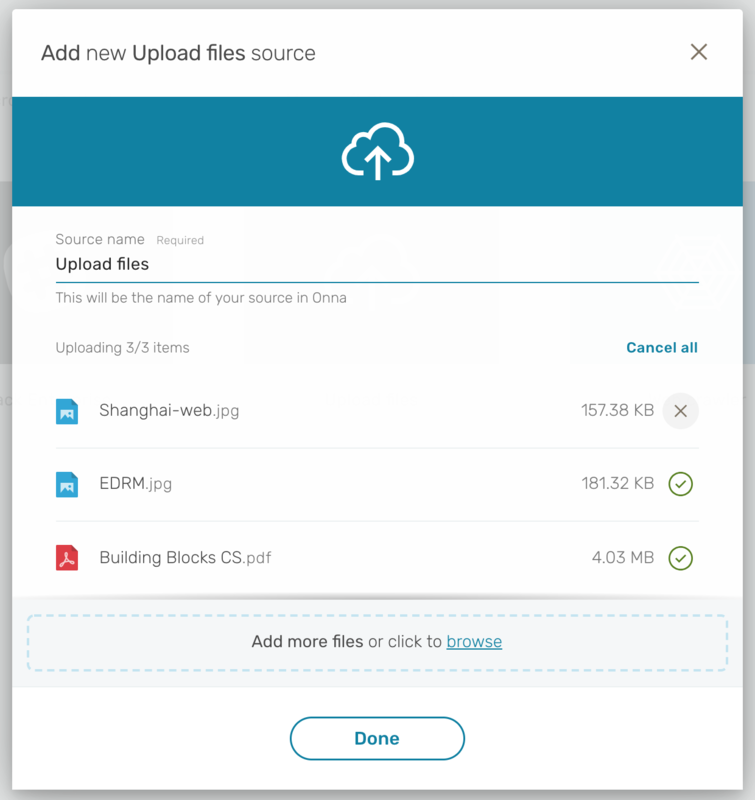 Once you have the files you'd like to upload, click Done. Note: If you don't click Done, the upload will not finish. When you click on your data source, you will start seeing results being populated. 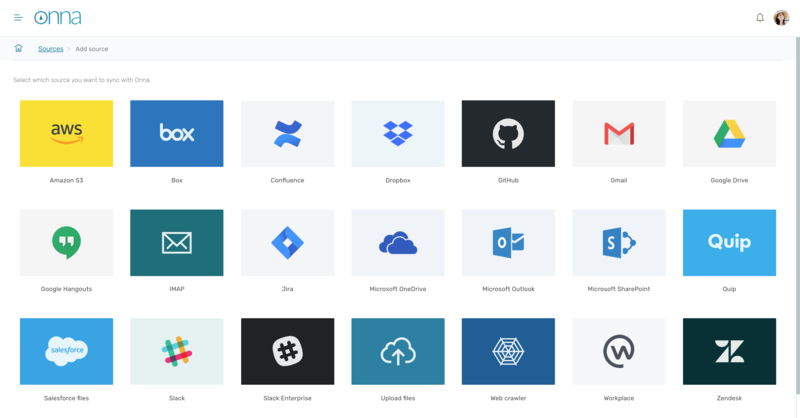 You can also upload more files to this source from this page by clicking again on the upload icon on the right hand side.